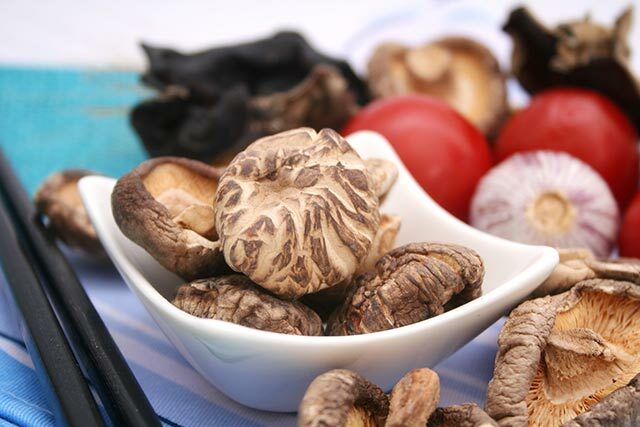 Shiitake — known as “fragrant mushroom” in Chinese, this brown, umbrella-shaped mushroom is available both fresh and dried and commonly used in local and other Asian cuisines. It has a woodsy, meaty flavour and is used in many dishes such as stir-frys, braised with meat or used in traditional Chinese food such as rice dumpling and yam cake. 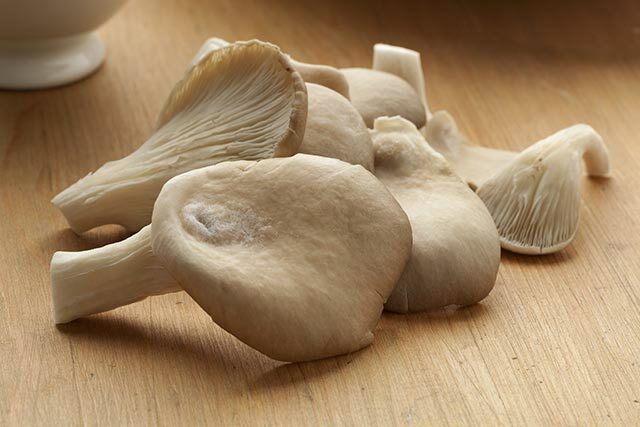 Shimeiji — also known as beech mushrooms, these are sold in clumps and are either white or brown. Shimeiji mushrooms sometimes have a slight bitter flavour. Straw mushroom — usually soft and savoury, they are available in canned form and used in stir-fry or broths such as tom-yum soup. What is food without its flavour? Look into the supermarket aisles and you will find rows of seasoning and condiments that you can use to spice up your dishes. But do you know that you can also find natural flavour-enhancing food to add oomph to your cooking among the fresh produce section? These include herbs (e.g. lemongrass, parsley), vegetables (e.g. onion, tomato), fruit (e.g. lemon, pineapple) and even seeds (e.g. sesame, sunflower seeds). Mushrooms are one type of such natural flavour-enhancing food that you can use. They are neither meat nor vegetable; they belong to the category of fungi. Still, they are very much a part of our diet (especially if you are vegetarian) and are commonly used in cuisines all over the world. Related: Who Says Healthy Food Can’t Taste Good? Related: Important Nutrients: What Should You Eat More Of? Mushrooms are highly versatile ingredients, whether you are boiling, stir-frying, deep-frying, steaming, roasting, grilling or braising them. 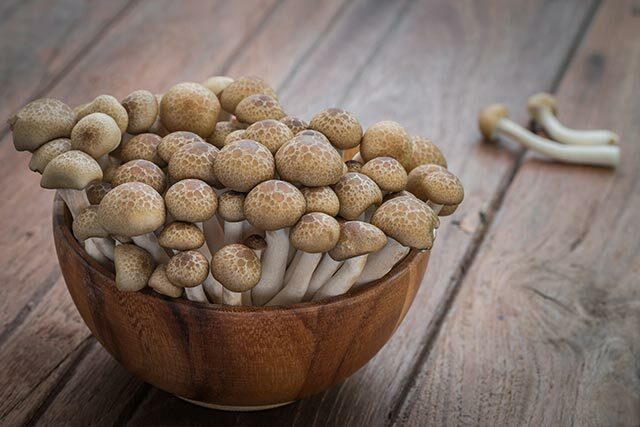 From the stronger “woodsy” taste of shiitakes to the mild crunchiness of enokis, mushrooms act as natural flavour enhancers, almost like natural MSG. They taste good on their own and add umami (or “savouriness”) to other dishes when included as side ingredients. Which is your favourite mushroom? 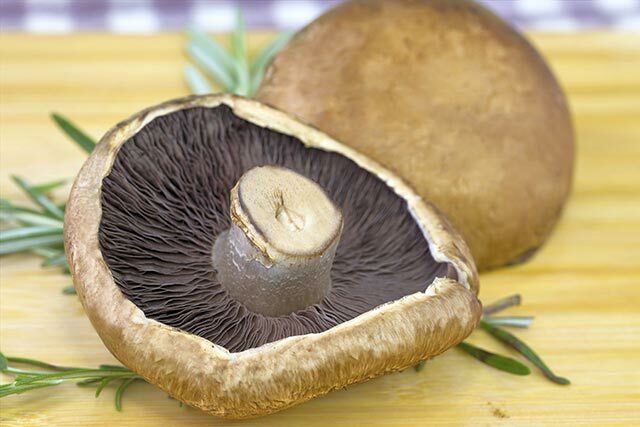 Known as “fragrant mushroom” in Chinese, this brown, umbrella-shaped mushroom is available both fresh and dried and commonly used in local and other Asian cuisines. It has a woodsy, meaty flavour and is used in many dishes such as stir-frys, braised with meat or used in traditional Chinese food such as rice dumpling and yam cake. 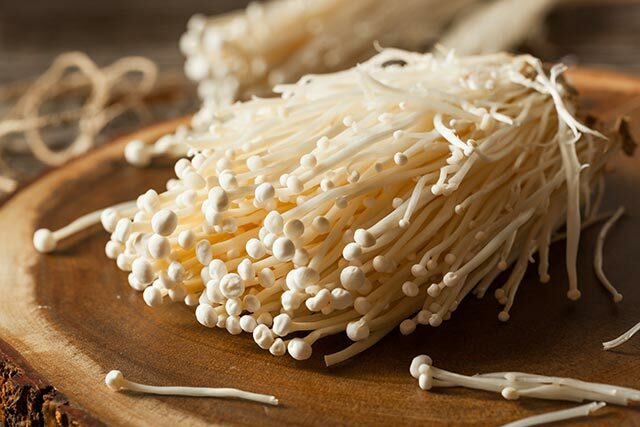 The pin-shaped enoki mushroom is sweet and chewy when cooked and often used in soups and stir-frys. You can also use them in chawanmushi or grill them with meat. 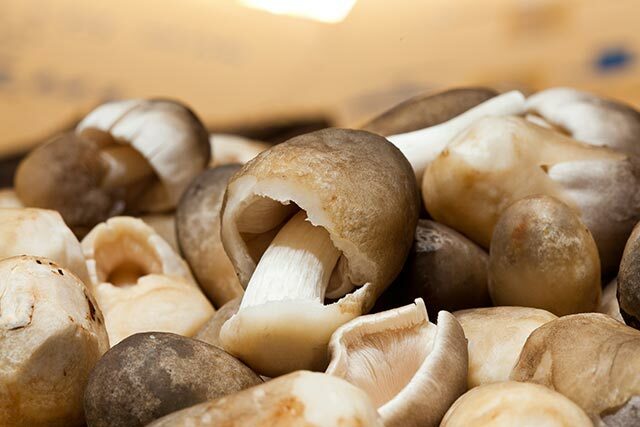 Available in either the thin, petal-like white form or the “king oyster” variety with long, broad stems and brown heads, these mushrooms have a delicate, sweet flavour that goes well with stir-frys. Also known as beech mushrooms, these are sold in clumps and are either white or brown. Shimeiji mushrooms sometimes have a slight bitter flavour. Usually soft and savoury, they are available in canned form and used in stir-fry or broths such as tom-yum soup. Meaty and savoury, these big mushrooms are more commonly used in western cuisine and are usually baked or grilled. Usually white with round, smooth heads. Their savoury flavour intensifies through cooking and can be used in pasta, pizzas and even salads. Known as “wood ear” in Chinese, these are more commonly available in dried form. They are crunchy and have a mild taste. The white fungus is commonly used in soupy Chinese desserts while the black variety is usually braised, stir-fried or chopped up to combine into stuffings for dumplings, spring rolls etc. The next time you plan to fry rice, beehoon, noodles or pasta, slice up some portobellos or shiitakes and add them to your one-pot meal, along with other veggies. Mushrooms blend in easily. And who’s to say you can’t add them to your nasi goreng or sandwiches? Cook your dishes with vegetables such as the ones in this recipe of wok-fried broccoli. Mushrooms can be braised, stir-fried or roasted together with other vegetables. They can also be deep-fried as tempura or made into mushroom chips! Chopped mushrooms can be blended with minced meat to make healthier meat patties. In fact, mushrooms such as shiitake and portobello can be used to replace meat in cooking. Try steaming them with fish or tofu, such as in chawanmushi, or use them to make a mushroom sauce to flavour your meat dishes. Be adventurous. Mushrooms could work in curries too! Mushrooms are hot favourites when it comes to eating steamboat and the variety of mushrooms available makes for a delightful spread. Creamy mushroom soup is a perennial favourite in western cuisine but mushrooms also taste good in Asian soups such as Chinese soup, miso soup or tom-yum soup. 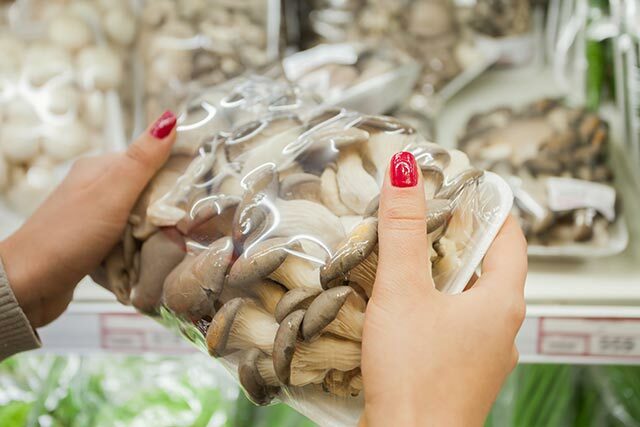 To keep mushrooms fresh, always store them in the fridge in their original package. Do not wash them until it is time to cook them. One important tip to remember: Never soak your mushrooms! They are highly porous and will absorb water like a sponge. Just rinse them quickly and pat dry. In fact, mushrooms contain a lot of water and will usually shrink during the cooking process when water is released. In turn, they absorb fluids and fats readily so use healthier cooking oil if you are stir-frying them. Mushrooms need to be cooked thoroughly. Heat breaks down the fungal cell walls resulting in mushrooms that are tastier, more digestible and nutritional. A word of caution: do not eat wild mushrooms growing in your neighbourhood! They could be poisonous and make you very sick. It is really easy to slip in some mushrooms regardless of what you are cooking. 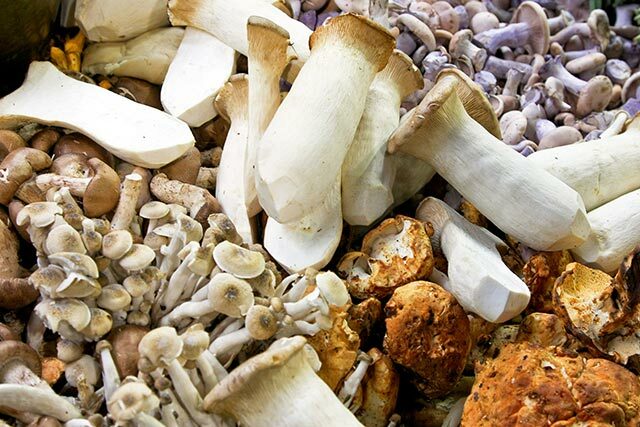 The next time you head to the supermarket, stock up on some of these yummy and healthy fungi! Organic Facts. (2008). Health Benefits of Mushrooms [Website]. WikiHow. (n.d.). How to Cook with Mushrooms [Website]. Ware, M. (2016, Jan 12). Mushrooms: Health Benefits, Facts, Research [Website]. Mushroom Council. (n.d.). Mushroom: Varieties Overview [Website]. <strong>Related&#58; <a href="https&#58;//www.healthhub.sg/live-healthy/1548/important-nutrients-what-should-you-eat-more-of" title="Important Nutrients&#58; What Should You Eat More Of? 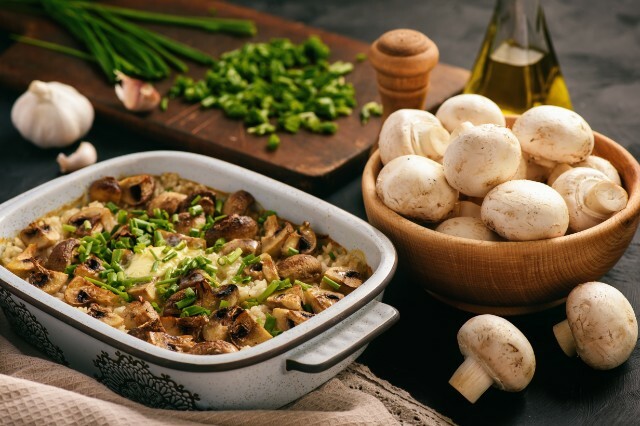 ">Important Nutrients&#58; What Should You Eat More Of?</a></strong></p><h2>Use Mushrooms to Prepare Healthier Home-cooked Meals</h2><p>Mushrooms are highly versatile ingredients, whether you are boiling, stir-frying, deep-frying, steaming, roasting, grilling or braising them. From the stronger “woodsy” taste of shiitakes to the mild crunchiness of enokis, mushrooms act as natural flavour enhancers, almost like natural MSG. They taste good on their own and add <em>umami</em> (or “savouriness”) to other dishes when included as side ingredients. </h2><p>Which is your favourite mushroom? <h2>References</h2><ol id="footnotes" style="margin&#58;0px;"><li>Organic Facts. (2008). Health Benefits of Mushrooms [Website]. </li><li>WikiHow. (n.d.). How to Cook with Mushrooms [Website]. </li><li>Ware, M. (2016, Jan 12). Mushrooms&#58; Health Benefits, Facts, Research [Website]. </li><li>Mushroom Council. (n.d.). Mushroom&#58; Varieties Overview [Website]. <div class="ExternalClassA335927601DE40D398F5DDAB65E65995">Established in 2001, the Health Promotion Board (HPB) has a vision to build a nation of healthy people.